Do you know this sallad or what´s the ingrediens? It´s a chines/japanise one. That´s all I know. Tast so fantastic and very beautiful colors. Hallo! Japanese seaweed salad. Here’s a link to one recipe, but there are many, many others. Thank you so much 🙂 I will check the link. Seaweed Salad I believe – truly delicious! I agree with the others and it is quite delicious! Here its very uniqe sorry to say as its so fantastic, but Im also lives in the middle of nowhere, with the polarbear on the streets. *sign* You know any good recipe ChgoJohn? You may be able to order the seaweed online but it’s probably expensive! Hi! 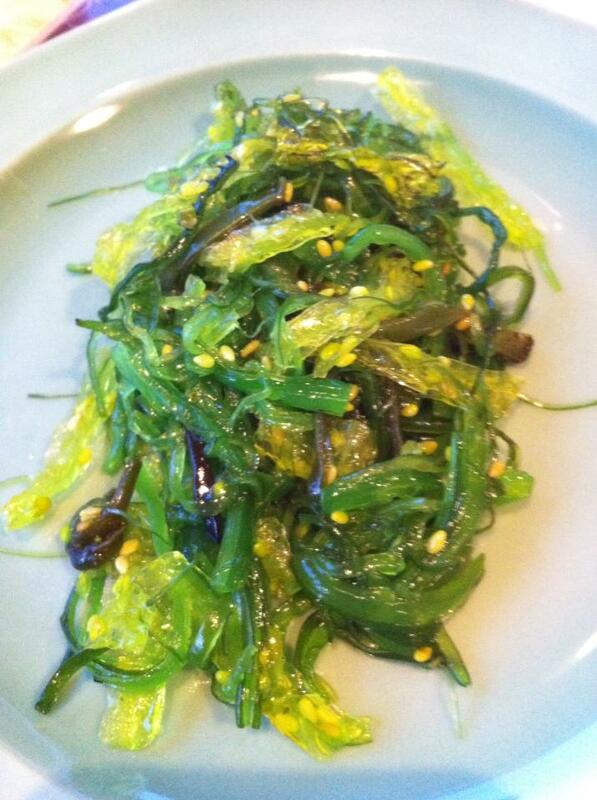 It’s kombu seaweed, and the salad is wakame salad (if you want to google for a recipe). if there are any japanese/sushi restaurants in your area ask them where the buy it from! in addition you can add other colourful vegetables, grated carrot, red onion thinly sliced, etc. When preparing the seaweed, remember to soak in room temperature to cool water so it stays a little bit crisp, though it might take longer than soaking in warm water. Vad härligt! 🙂 Här är det -8 och inget snö alls.